Valid till 28 February 2019. Mala, Spice and everything Nice. It's the crispy chicken you know and love, all dressed in a mouth-numbing recipe by celebrity chef Bjorn Shen! Take on the limited-time Firecracker Sauce at 4FINGERS #01-38/39 today! 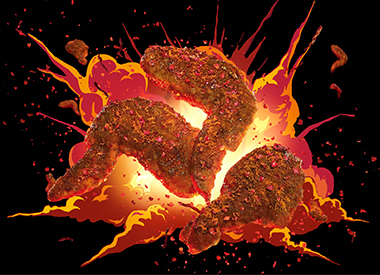 Be warned: it's gonna get #spicyAF. Available at Causeway Point, #01-38/39.